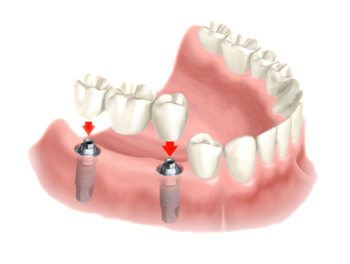 A dental implant, simply put, is a long-term solution for a missing tooth or teeth. 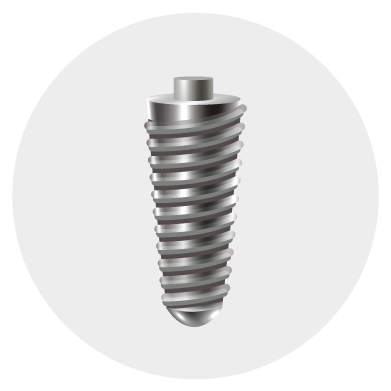 The implant is made of titanium metal and acts as a substitute for the root of your natural tooth. Over several months, your jawbone fuses to the implant. 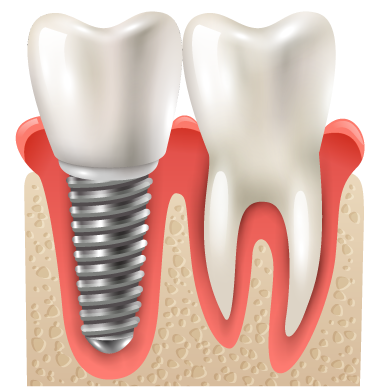 The fusing process, called “osseointegration”, is the reason implants do not slip or rock like dentures and also why they are the most successful option for patients seeking an option for tooth replacement. As you can see, the dental implant acts the substitute to a natural tooth's root. Everything but the crown remains below the gum line, enabling a dental implant to look identical to your natural teeth. The implant is placed into the jawbone by your oral surgeon. 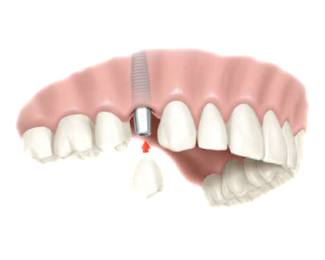 The abutment is placed on top of the implant, by your dentist. 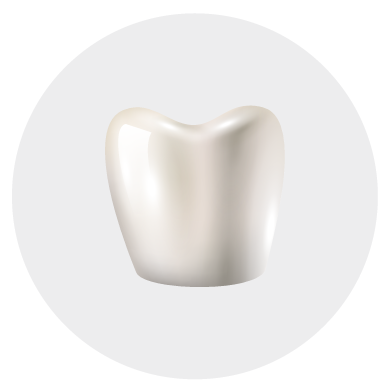 The crown is placed on top of the abutment, by your dentist. Dental implant surgery is a great option for nearly all ages, with the exception of growing children. Whether you are in need of replacing one tooth to several or all of your teeth, we have a dental implant solution for you. We are confident you will love your dental implant(s) and with proper care, they will last a lifetime. Patients who have chosen dental implants report an incredibly high quality of life over those who chose fixed bridges, partial dentures or removable dentures. Dental implants eliminate the daily frustrations and discomfort of dentures. They are recommended by dental professionals because, unlike fixed bridges or removable dentures, they do not affect the health of your neighboring teeth nor do they lead to bone loss in the jaw. With dental implants, there is nothing removable to irritate your gums. No overnight care, no adhesives, no mess. Simply brush and floss like natural teeth. The health of surrounding teeth remain in tact as they are not affected. Removable dentures can be difficult to wear, making speech challenging. Discover how easy eating can be again as implants function just like natural teeth. Once the crown is placed, your implant will look identical to your existing teeth. Looking for an affordable solution to dental implants? You have found the right place. Dental implant prices vary based on a number of factors, but we are here to help. Contact our office today or complete the request an estimate form and we will get started on your free estimate. Our office offers a variety of financial options to ensure you're able to enjoy the benefits implant dentistry has to offer. We are confident you will love your new dental implants and they will be an investment that lasts a lifetime. Anybody missing one or more teeth is an ideal candidate for a dental implant procedure. The best part is that implants require no more care than your natural teeth and cannot get cavities. 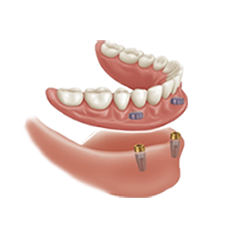 Single-tooth implants are best when one (or multiple) natural teeth have been compromised. 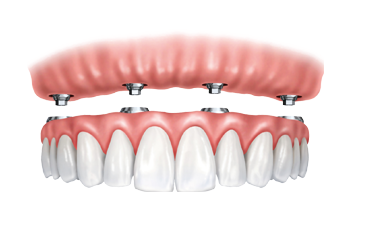 Implant bridges are better than traditional dental bridges as they do not compromise the health of natural teeth. At the consultation, your oral surgeon will take a 3D scan of your mouth to create a treatment plan for your procedure. If you have enough bone mass in your jawbone, the consultation, extraction of existing tooth, and implant can be done in one, convenient visit. Two to four weeks after the implant is placed, your oral surgeon will want take a look to ensure it is healing correctly. Three to six months later, your oral surgeon will see you to take a scan of your mouth. 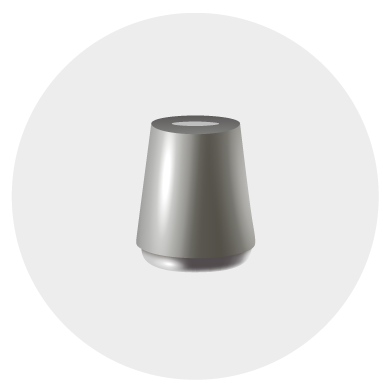 The scan is used to create a custom crown that will be perfectly fitted for your mouth. Three to four weeks later, after the crown is made, you will visit your general dentist so the crown can be placed. After your dentist places the crown, your procedure is officially complete and you can enjoy all the benefits of your new dental implant. Your procedure is over, now what? Watch as we review everything the nurses covered in your post-op recovery. This video is full of basic recovery instructions and tips to help you achieve a speedy recovery. Whether you are in need of replacing one tooth to several or all of your teeth, we have a dental implant solution for you. We are confident you will love your dental implant and with proper care, they will last you a lifetime. Questions? Give us a call at 402.327.9400 or chat us through our live chat where our specialists are happy to help you with any of your dental implant needs. To learn more, download our dental implant brochure below. I had my implant done today and the staff was helpful and very comforting. I had been super nervous about the procedure but the only pain I felt was the IV! The doctor even called tonight to check on me. I am very appreciative! I've had 5 teeth extracted and 3 implants placed over the last 3 years and Dr. Rallis is the very best at his craft. The nurses and support staff are caring and friendly, the payment specialists are thorough and understanding. Highly recommend! Great experience - 100%. I've had 5 teeth extracted and 3 implants placed over the last 3 years and Dr. Rallis is the very best at his craft. The nurses and support staff are caring and friendly, the payment specialists are thorough and understanding. I tend to be a bit nervous, but I always leave here relieved and assured that I received the very best care. Highly recommend!